This is an example of what can be done to customize the wear leathers with logos, brands, etc. 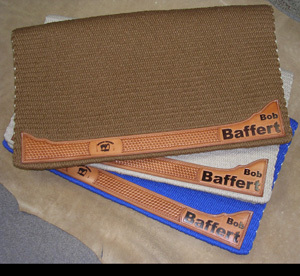 These were done for Bob Baffert and the scalloped leathers accomodates a large logo. Price depends on size of the logo.